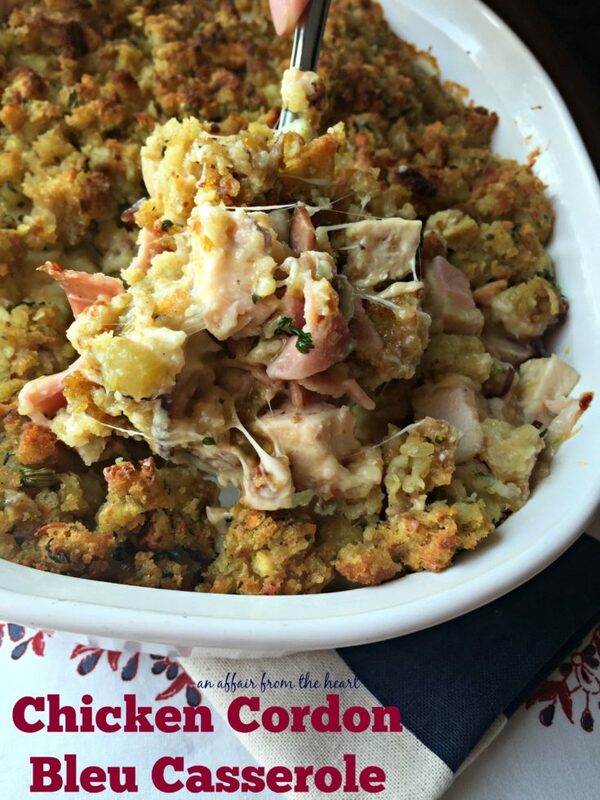 Chunks of chicken, ham and gooey Swiss cheese covered with stuffing mix and baked to casserole perfection! Great for leftover chicken or leftover ham. I have always adored Chicken Cordon Bleu. This casserole version is a great way to get the flavors with a small amount of effort. I have made this casserole many times, and for some reason just now got around to blogging about it. 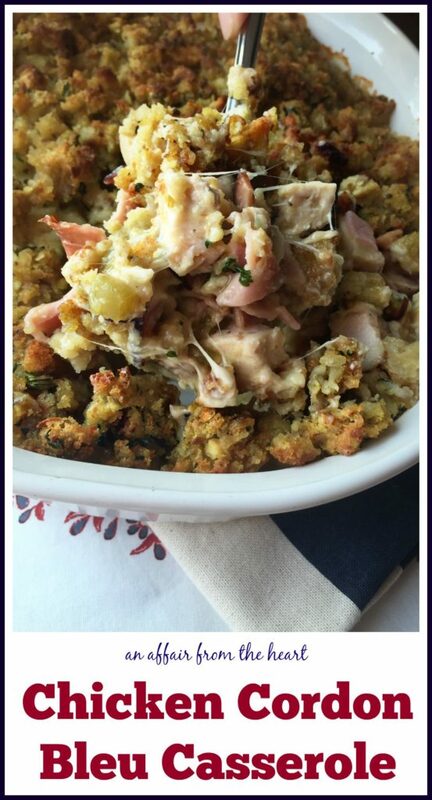 It’s a great way to use up leftover chicken, or leftover ham at the holidays. You can only eat so many ham & eggs, or ham & potatoes, am I right? 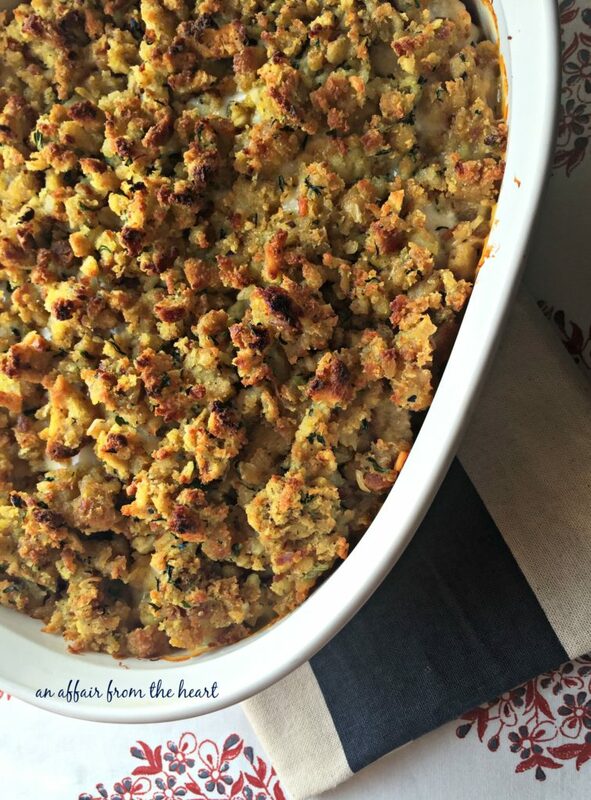 This casserole is a family favorite in our house, I hope that you enjoy it, too! Preheat oven to 375 degrees, prepare a 2 quart casserole dish with non-stick cooking spray. Whisk soup and mustard together in a medium sized bowl, stir in the chicken and ham. Pour into the casserole, top with cheese slices. Spoon prepared stuffing over the top. Bake 35-40 minutes or until heated through. I love everything in this dish. Pure comfort food! Casseroles are the BEST!! !